Retail $6.49 SAVE 28% ! Handles round brass, aluminum and copper up to 5/8". Nylon body helps reduce friction. "Poor Quality Hard to Use"
This thing does not cut 3/32 tubes even though the description says it will cut tubes at 1/16. Very hard to make this tool work. I would recommend rolling the tubes with an Exacto across a cutting matte rather than this tool. 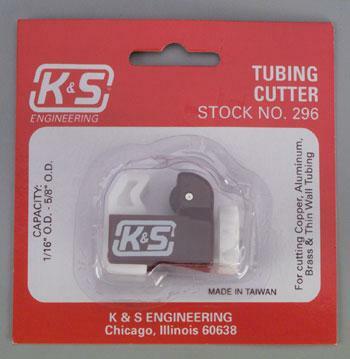 If you use you tube or rod in your model builds then you must have this tube cutter to make clean cuts easily. "Does what its suppose to do"
Good price. Does what its suppose to do. I still find I need to go over the tube with a file to open the hole again. Not good with cutting small tube less than an 1â€ length, hard to rotate tubing.